A SEPTA bus on South Broad Street. SEPTA and the Philadelphia Parking Authority are interested in joining forces to come after drivers who park in bus zones, proposing particularly pricey fines if you break the law in Center City. 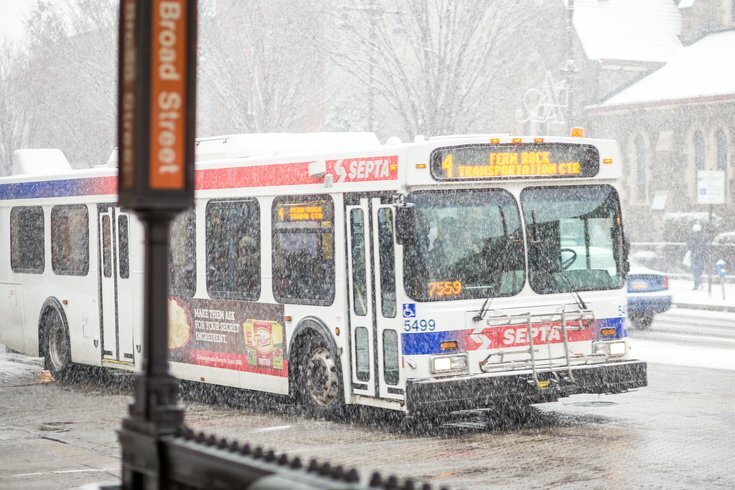 The two organizations are in talks to implement forward-facing cameras on all SEPTA buses, meaning if your car is parked where it shouldn’t be, the SEPTA driver can easily snap a photo and send a fine your way. The technology used is not unlike the recently announced red light cameras to be installed at five additional Roosevelt Boulevard intersections thanks to a $500,000 PennDOT grant. Those cameras are intended to capture violations while they’re happening so they may be reviewed and cited accordingly later. In this case, SEPTA bus drivers can elect when to snap photos of illegally parked cars at SEPTA stops for PPA review. According to NBC10, there are about 2,000 parking violations relating to bus zones a day. Fines in Center City would run at a $76 rate; in Philadelphia areas outside Center City, the rate would be $51. The cameras could generate an estimated $37.23 million for the city annually. Despite these specifics, there is no official go-ahead with the plan yet as SEPTA, the PPA, and the City of Philadelphia continue talks on the subject. Additionally, it’s unclear the budget that would be necessary to install cameras on SEPTA’s 1,193 buses. Implementing the cameras could be a much bigger question than budget, however. SEPTA spokesperson Marty O’Rourke told NBC10 the PPA believes Pennsylvania State Law would have to change for the program to take off. Now the conversation has expanded to legislators over interest in proposing and carrying out the change.